A customer wants us to print these for their car wash. We are printing these panels in reverse on LexEdge II material. 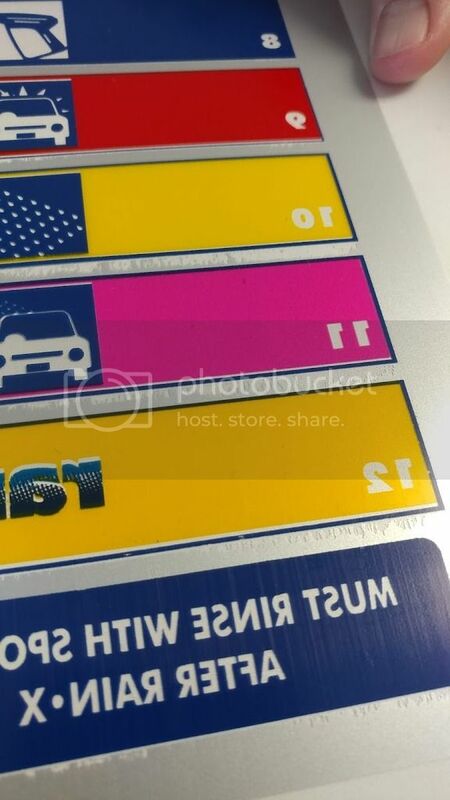 The regular Silver color is the second to last color printed and when it begins printing (even after each space for a different color) the color doesn’t transfer to the material well. We are using the correct profile in Omega 5 and GspPlot 5.0. These are to be fully backed with Arctic White foil. You can see what I'm talking about in these pictures. It's hard to show the extent of the problem accurately. It looks worse in person. If anyone knows what is causing this, or what we can do to fix it, please respond. Thank you. Hello @Goodsonsigns, thanks for checking in with this question, and apologies for the delayed reply. I am working on finding someone to assist. Thanks! There almost appears to be a striped effect through the silver printed area as well as the voids. The same stripe pattern can be seen in the dark blue areas too. Can you supply the lot numbers and part numbers for the materials used? Sorry for the delay. I don't know any lot numbers, but the part numbers for the silver and cobalt blue are P77755A and P77693A respectively. The substrate is LexEdge II. I don't have lot or part numbers for that. Printing from Omega 5.0. Does anyone have any idea about this issue? We don't want to leave the customer hanging. I believe Rob was noticing that there was a stripe pattern on more than just the areas with silver. We would like to identify where the issue actually is. We are asking for the lot numbers so that we can diagnose properly. However, testing with fresh Gerber foils and materials could help you identify the issue as well. Both the silver foil and the LexEdge material were ordered new for this job. Unfortunately we don't have access to the lot numbers. The LexEdge came to us with no identifying markings. 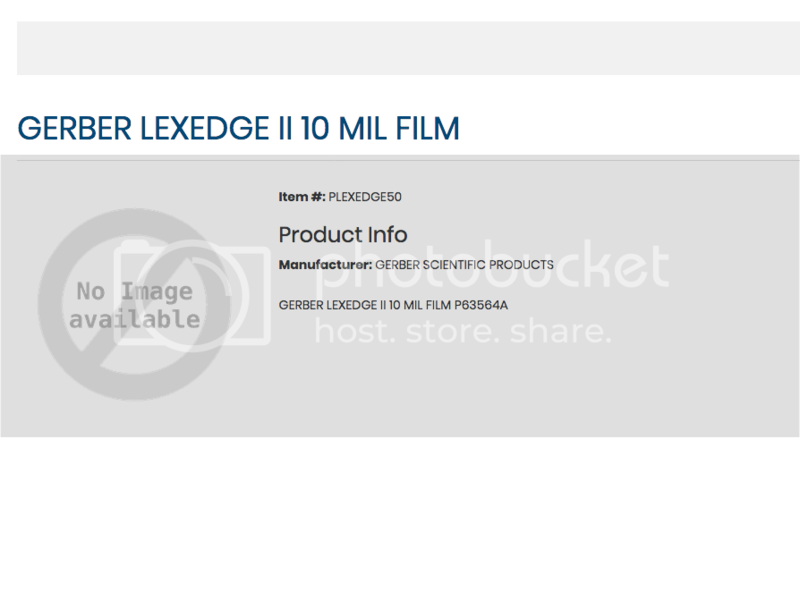 This is a screen shot of our supplier's order page for LexEdge. I don't know if any of these numbers are the part number or not. The cards on the foils don't have lot numbers. I wish there was more information we could provide, but this is all we have. Any thoughts or direction would be appreciated. 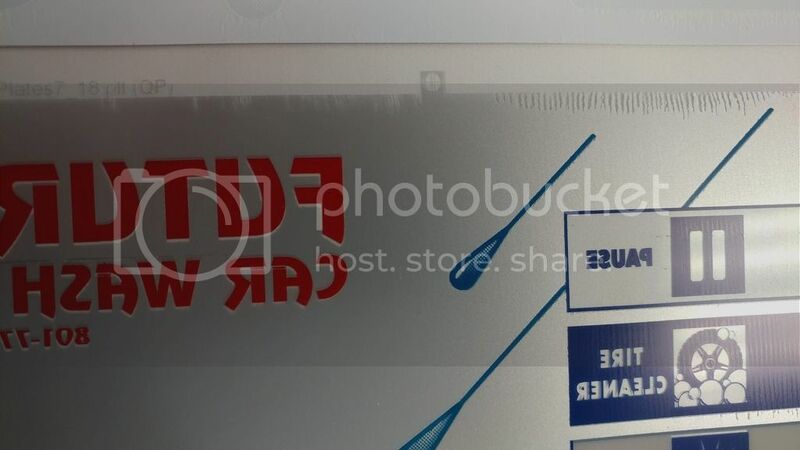 @goodsonsigns you will find the lot number on the decal on the blue plastic flap that is part of the foil itself. 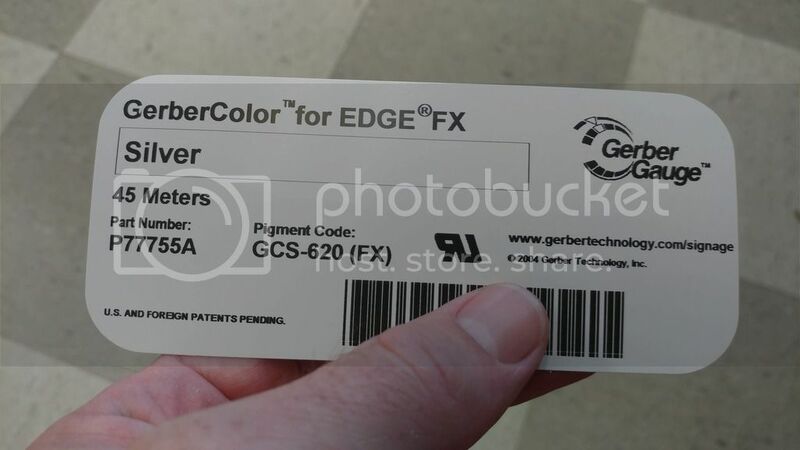 The Gerber material will have a lot number in the core roll. I would suggest contacting technical support as we are not making much progress here. 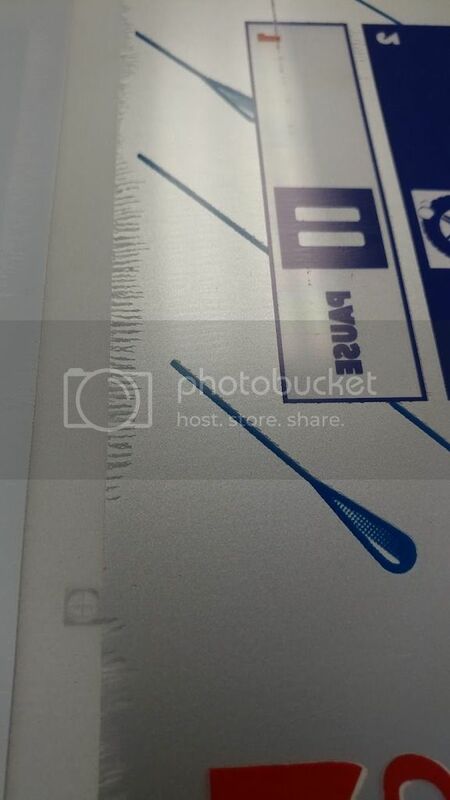 Can you confirm that you removed the protective layer film before printing on it. Do you also see the stripes I was seeing in the printed areas? The lot number for the silver is 77024 1802. The Gerber material is not on the original core, as we only ordered a few yards for this job, so it is blank. We did remove the protective layer film before printing. We also see the stripes you mentioned. I'll try technical support tomorrow and let you know if they have any suggestions. 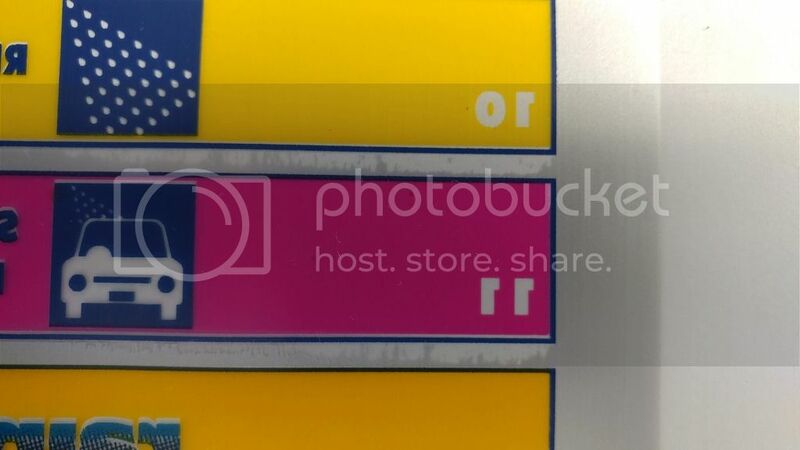 I have had similar problems and found that switching the order in which you print the colors can make a huge difference. In general, the lightest colors last seems to work best for me. You said silver was the second last,.. whatever the last foil was, unroll a little of it and see if some of the silver was picked up by the last foil used. Also, try playing with the "heat" when you print (GSPlot: print options, settings, darker). I usually keep it at darkest when printing on lexedge.